I tried to do that some yesterday, but it didn't work out so well. I had a two year old that demanded a lot of attention since thursdays Avrora doesn't go to daycare. Normally those days she accompanies me to work in the morning and then we go home for the afternoon nap and I telecommute. However, yesterday I stayed with her here and we played. Then I had to wait around for the body shop to get back to me so I could go get my wife's car. After my daughter's nap, we got it. Looks good. So, this morning I helped get everyone out the door and now I am going to turn in to sleep. Julia memed me so I'll write something later. PS whatever I've got would be someone's perfect incapacitating bio weapon. No details, but it's doubleplus evil. Ukrainian Prime Minister Viktor Yanukovych has accused President Viktor Yushchenko of illegal interference in the parliamentary election campaign and his team of harboring plans to rig the vote in the September 30 parliamentary election. Ironically, three years ago it was Yushchenko who held Yanukovych responsible for violations in a presidential election campaign. The suspicions of foul play sparked the Orange Revolution, which eventually brought Yushchenko to power. Now Yanukovych leads the Party of Regions (PRU), which, according to opinion polls, should take the most votes in the election. Yushchenko backs the rival camp, consisting of the opposition coalition of Our Ukraine – People’s Self-Defense (NUNS) and the Yulia Tymoshenko Bloc (BYT). On September 17 the PRU issued a statement saying that the governors in Ukraine's western regions -- the stronghold of NUNS -- were deliberately tampering with voter lists. The PRU said that the lists of voters compiled by the governors’ offices differed from Interior Ministry data. Deputy Interior Minister Mykhaylo Kornienko told a press conference on the same day that many nonexistent voters were registered in western regions, and that he feared substitutes would vote for people who are not planning to come to the polling stations. The president appoints and dismisses regional governors, while the Interior Ministry is subordinated to the prime minister. oy. The election is days away and they're still playing stupid games...oh well. That's to be expected. I am curious about what the European Observers are going to say about the fairness of the election. My wife is so pessimistic right now that she hasn't done her customary stumping. She expects more of the same no matter who wins. Ranked 20th! Damnit! We're the Bad Boys (erm, and Girls!) of the Large Nations of the Anglosphere! Ack! The Canucks are going to crow as usual. bah. It seems that Finland, Denmark, and New Zealand are the world's biggest goodie two shoes. An online acquaintance of the British sort, Julia, penning (typing? doesn't sound as good) the Ethical Paleontologist, and her husband is going to be blowing through our state in about three weeks. She was going to stay in Alamogordo (good grief! Alamo?! hack! patooie!). I put a small bug in her ear to try LC instead especially for the food. Now I now that many of my old hang outs are gone, but I am sure that there are many that are still there and still good. I recommended La Posta, since it seems to be still open and in Mesilla's plaza which is easy to find using Google Maps, but IDK if the quality is good or bad or whatnot for sure these days. They'll be there for a night and that's it. Do you all have suggestions for either nicer or cheaper but good places to eat? 1. New Mexican, not Mexican, not Mission style, and if you call it TexMex, Julia, I will find you and make you watch ID propoganda for the the next year 24/7 with Barney singing in the background, ok? 2. I'd give a direct address with a link, but google maps has gone and done something stupid by only doing embedded links now. Three Mexican minors detained in California on suspicion of smuggling drugs stole a U.S. Border Patrol car while still wearing handcuffs and drove it back across the border to Mexico. Police in the Mexican border city of Mexicali said on Tuesday the three boys had been driving a pick-up truck on a remote Californian highway when a Border Patrol agent stopped them. Suspicious they were carrying marijuana, he handcuffed them and put them in his patrol car while he searched their truck. "As the agent was doing his search, he left the vehicle running and the keys in the ignition, so one of the lads, still wearing handcuffs, grabbed the steering wheel and they headed back to Mexico," a police spokesman said. The Border Patrol, which plays cat and mouse around the clock with illegal Mexican migrants and drug traffickers, confirmed the vehicle was stolen in southern California on Sunday and driven over the border near Mexicali. Mexican police used a helicopter to locate the patrol vehicle in a remote agricultural area near the border. keys in the ignition. car running. Someone should find those kids and straighten them out. They have cajones that big, brass, and klang when they walk. If someone could get them to straighten up and fly right I'd have to say they'd probably go pretty far. Unlike - I SO SERIOUSLY HOPE - the dumbass BPman. My time in LC left me with a rather distasteful opinions of the BP and its officers. Fair or not. Rotation ended 2 1/2 hours ago: every Tuesday we had off responsibility for the machines to the next person. We have to do a report and then pester the operators to get them to change their board so the wrong person doesn't get paged after midnight. Tuesday for me is meeting day. I have one at 9 AM (30 min). I have a second at 11 AM (1 hour). Then one at 1 PM (from as little as 30 min, sometimes three hours). The funny part was that I was quarantined!!! For ALL of them. They called me to telecon into the meetings. One of them, that's normal. Another, not unusual. Just How Federal Was the Federation? Hat tip to Randy for pointing this out to me. I ROFLed and that was probably not a good thing considering how sick I feel at the moment. At the end of the Pleistocene era, wooly mammoths roamed North America along with a cast of fantastic creatures – giant sloths, saber-toothed cats, camels, lions, tapirs and the incredible teratorn, a condor with a 16-foot wingspan. About 12,900 years ago, these megafauna disappeared from the fossil record, as did evidence of human remains. The cause of the mass extinction and the human migration is a mystery. Now a team of scientists, including Brown University planetary geologist Peter Schultz, provides evidence that an asteroid impact likely caused the sudden climate changes that killed off the mammoths and other majestic beasts of prehistory. 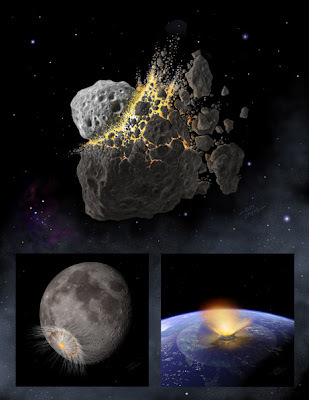 In the Proceedings of the National Academy of Sciences, the international team lays out its theory that the mass extinctions in North America were caused by one or more extraterrestrial objects – comets or meteorites – that exploded over the Earth or slammed into it, triggering catastrophic climate change. The scientists believe that evidence for these extraterrestrial impacts is hidden in a dark layer of dirt sometimes called a black mat. Found in more than 50 sites around North America, this puzzling slice of geological history is a mere three centimeters deep and filled with carbon, which lends the layer its dark color. This black mat has been found in archeological digs in Canada and California, Arizona and South Carolina – even in a research site in Belgium. 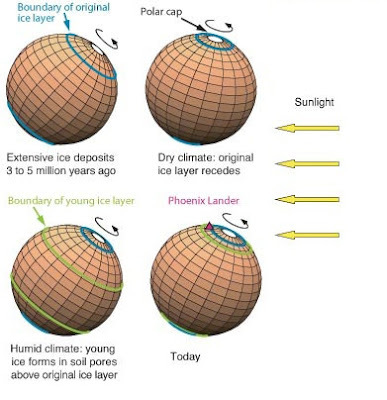 The formation of this layer dates back 12,900 years and coincides with the abrupt cooling of the Younger Dryas period, sometimes called the “Big Freeze.” This coincidence intrigued the researchers, led by Richard Firestone of Lawrence Berkeley National Laboratory, who thought that the black mat might be related to the mass extinctions. So the researchers studied black mat sediment samples from 10 archeological sites dating back to the Clovis people, the first human inhabitants of the New World. Researchers conducted geochemical analysis of the samples to determine their makeup and also ran carbon dating tests to determine the age of the samples. Directly beneath the black mat, researchers found high concentrations of magnetic grains containing iridium, charcoal, soot, carbon spherules, glass-like carbon containing nanodiamonds and fullerenes packed with extraterrestrial helium – all of which are evidence for an extraterrestrial impact and the raging wildfires that might have followed. Schultz, professor of geological sciences at Brown and an impact specialist, said the most provocative evidence for an extraterrestrial impact was the discovery of nanodiamonds, microscopic bits of diamond formed only from the kind of intense pressure you’d get from a comet or meteorite slamming into the Earth. Schultz admits that there is little decisive evidence about the actual details about the impact and its effects. 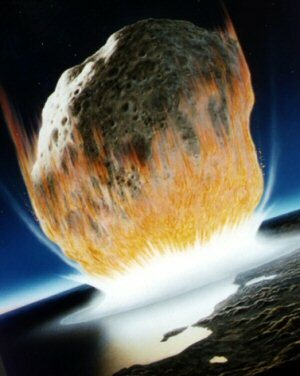 Scientists suspect that a carbon-rich asteroid or comets were the culprits. 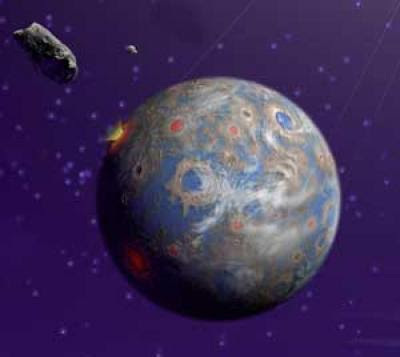 The objects would have exploded over North America or slammed into it, or both, shattering and melting ice sheets, sparking extreme wildfires, and fueling hurricane-force winds – all of which could have contributed to changes in climate that led to the cooling of the Younger Dryas period. Those CrAZy Impactists...let's see if this stands up. Please note that the impact cannot have been that big AND David Raup's Kill Curve seems to have fallen apart multiple times. I'll wait and see. Even though this is supported by Co-Labbies - yes, we're rather strong supporters of Impact Derived Extinctions around here - I'm not buying this one as yet. The Russian government plans to allocate up to 600 billion rubles ($23.6 billion) to fund development projects in Eastern Siberia and Far East by 2013, Kamil Iskhakov, presidential envoy in the Far East, told the Far Eastern International Economic Forum on September 18. Total investments in the region could reach 9 trillion rubles ($354 billion) by 2025, he told Forum participants. However, the Forum's host, Khabarovsk regional governor Viktor Ishayev, sounded less optimistic. China, Japan, and South Korea still remain regional economic leaders, he noted, while Russia's Eastern Siberia and Far East, along with North Korea and Mongolia, are becoming increasingly marginalized. Ishayev complained about low incomes in Eastern Siberia and the Far East, which are some 12% below Russia's average. He suggested that Moscow should allow Far Eastern regions to retain a larger share of corporate profit taxes and VAT. He also urged the government to prioritize exports of finished petrochemical products, not oil and gas, or the region risks becoming a raw-materials supplier to the region's more advanced economies (Interfax, RIA-Novosti, September 18-19). In short, they're promising a lot more money even when they have not quite delivered on what they promised before. The Robledo Mountains' reputation as one of the world's most important landscapes of pre-dinosaur fossil trackways likely will be enhanced by another discovery — petrified wood slowly emerging from the desert floor. "There are just so many types of fossils here, it just staggers the mind," said Jerry MacDonald of Las Cruces, the amateur paleontologist who discovered the Permian Period fossil trackways in the late 1980s and more recently found the dozens of locations with petrified wood. MacDonald told the Albuquerque Journal on Sunday that he believes that time and erosion are causing an ancient forest to emerge from the ground "that I am just finding the top of." MacDonald and others are hopeful that the latest find will generate momentum in Congress to pass legislation to carve out a 5,300-acre portion of the southern Robledos as a national monument to protect the Paleozoic Era trackways. "The fact that the area contains evidence of so many of the members of an Early Permian non-marine ecosystem preserved in one relatively small area like the Robledo Mountains is unique in the history of paleontology and makes the proposed national monument extremely significant," said Sidney Ash, a retired paleobotanist and adjunct professor at the University of New Mexico. Damn. I missed being able to go see this. It's not the late Permian - which is my fascination - but its still near my old stomping grounds. Basal (cladistically) neoceratopsians are relatively small, gracile members of Ceratopsia ('horned' dinosaurs), which also includes larger forms such as Triceratops and Centrosaurus. The Asian basal neoceratopsians share some very important traits not found in any North American group until now, including a fenestrated frill and premaxillary teeth. Likewise, the North American basal taxa have some traits not found in the Asian forms, the most important of which is a very specialized tooth wear pattern. Cerasinops hodgskissi, a new basal neoceratopsian from the Lower Two Medicine River Formation of Montana, exhibits all of the above characters along with others previously found on only one of the two continents. The new species is a sister group to Leptoceratopsidae in a cladistic analysis, and is a link between the taxa on the two continents. Cerasinops also exhibits extremely interesting anatomical and histological features that indicate the possibility of bipedality in this taxon, a locomotor pattern not found previously in basal neoceratopsians (it has been suggested in some, but with little evidence). Certopsians are definitely having a renassiance in the last decade or two. Sara Seager, Massachusetts Institute of Technology, Cambridge, Mass. ; Marc Kuchner, NASA Goddard Space Flight Center, Greenbelt, Md. ; Catherine Hier-Majumder, Carnegie Institution of Washington, (deceased); and Burkhard Militzer, Carnegie, have created models for 14 different types of solid planets that might exist in our galaxy. The 14 types have various compositions, and the team calculated how large each planet would be for a given mass. Some are pure water ice, carbon, iron, silicate, carbon monoxide, and silicon carbide; others are mixtures of these various compounds. The team took a different approach from previous studies. Rather than assume that planets around other stars are scaled-up or scaled-down versions of the planets in our solar system, they considered all types of planets that might be possible, given what astronomers know about the composition of protoplanetary disks around young stars. "We have learned that extrasolar giant planets often differ tremendously from the worlds in our solar system, so we let our imaginations run wild and tried to cover all the bases with our models of smaller planets," says Kuchner. "We can make educated guesses about where these different kinds of planets might be found. For example, carbon planets and carbon-monoxide planets might favor evolved stars such as white dwarfs and pulsars, or they might form in carbon-rich disks like the one around the star Beta Pictoris. But ultimately, we need observations to give us the answers." The team calculated how gravity would compress planets of varying compositions. The resulting computer models predict a planet’s diameter for a given composition and mass. For example, a 1-Earth-mass planet made of pure water will be about 9,500 miles across, whereas an iron planet with the same mass will be only about 3,000 miles in diameter. 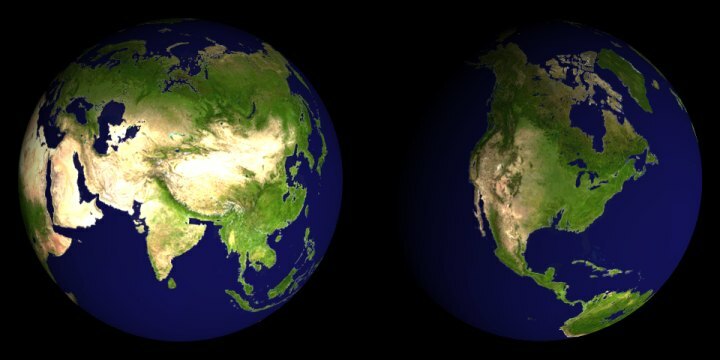 For comparison, Earth, which is made mostly of silicates, is 7,926 miles across at its equator. Some of the results were expected, such as the fact that pure water planets (similar to the moons of the outer planets in our solar system, which consist mostly of water ice) were the least dense of the solid planets, and pure iron planets are the most dense. But there were some surprises. The team discovered that no matter what material a planet is made of, the mass/diameter relationship follows a similar pattern. I'd be home except that I am on rotation. Sucketh the big one. I hope that Lyuda and Avrora don't get this. US ABM Radar in Europe is to Spy on Russia?! Russia's foreign minister suggested in an interview broadcast Friday that the United States wants to install an anti-missile system in Eastern Europe to spy on Russia, not to defend Europe from Iranian missiles as Washington claims. Russia has responded angrily to U.S. proposals to base elements of a missile-defense system in the Czech Republic and Poland, and proposed instead that the United States use the Russian-leased Gabala radar in the ex-Soviet state of Azerbaijan, which sits between Russia and Iran. American technical experts visited Gabala this week and U.S. officials said afterward that the radar's technology is outdated and could not replace the Eastern European elements. The issue has grown into one of the most serious roiling ties between Moscow and Washington. "When our American partners say that Gabala cannot be an alternative to a radar in the Czech Republic, I understand them, because the Gabala radar cannot see Russian territory from its western borders to the Urals ... A radar in the Czech Republic can," Foreign Minister Sergey Lavrov said on state-run television. The Gabala facility points south toward Iran. Elements of an anti-missile system placed in the Czech Republic and Poland would point east and presumably overlook the western half of Russia. Lavrov repeated Russian arguments that building the missile-defense system will likely spark a new arms race. Talks on global warming in the United States next week may be complicated by differences among developing countries as their climate policy positions diverge. All agree that the rich should take a lead in tackling climate change after enjoying more than two centuries of economic growth fuelled by burning coal and oil. The differences will emerge on when and under what terms developing nations shoulder a greater burden in cutting their own growing greenhouse gas emissions. Small island states and forested nations may benefit from tough climate policies, while oil producers would lose out if, as intended, these dampened demand for fossil fuels like oil. Big, rapidly developing countries are also showing splits. India, for example, differentiates itself from China which is now neck-and-neck with the United States for the title of world's biggest carbon emitter, and coming under increasing international climate policy pressure as a result. Nitin Desai, an expert who is on Indian Prime Minister Manmohan Singh's Council on Climate Change, said it was unfair to lump China and India two together. "Our per capita emissions are one fourth of theirs while their GDP (gross domestic product) is not four times larger than ours," he said. "India has achieved very substantial energy efficiency... by that yardstick India has achieved more on climate change than China." But the two have much in common, too, worried that energy constraints will strangle their economic growth. Like all countries, they also want to minimize the impact of climate change expected to trigger dangerous weather extremes and higher sea levels. "Everyone wants to do something about climate change, it's a difference in priority. It's not a simple formula, but it's not impossible," said South Africa's Wills. China says it is committed to the climate change cause. "The Chinese government attaches great importance to the issue of climate change," said foreign ministry spokeswoman Jiang Yu. Keep in mind that China is now contributing MORE CO2 than the US to the atmosphere AND they have stated taht they are not going to do ANY cuts that will harm their economy before 2050. I ahev seen the future and it looks like the Eocene. The team turned its research focus to the most complete of the 12 skeletons discovered and specifically toward three little bones from the hobbit’s left wrist. The research asserts that modern humans and our closest fossil relatives, the Neandertals, have a very differently shaped wrist in comparison to living great apes, older fossil hominins like Australopithecus (e.g., “Lucy”) and even the earliest members of the genus Homo (e.g., Homo habilis, the “handy-man”). But the hobbit’s wrist is basically indistinguishable from an African ape or early hominin-like wrist—nothing at all like that seen in modern humans and Neandertals. The evidence from the hobbit’s wrist is extremely important because it demonstrates further that the hobbit indeed represents a different species of human as was originally proposed by its discoverers. It is not a modern human with some sort of pathology or growth disorder. The distinctive shapes of wrist bones form during the first trimester of pregnancy while most pathologies and growth disorders do not begin to affect the skeleton until well after that time. Therefore, pathologies or growth defects cannot adequately explain why a modern human would have a wrist that was indistinguishable from that of an African ape or primitive hominin. Someone have the paper? Did they compare the wrist bones to H erectus? It sounds like this is no longer something that ought to be considered an H erectus derivative, but rather an H habilis or something else deriv. I'm waiting for John Hawks' reaction. (A) View of right ulna of Velociraptor IGM 100/981. (B) Detail from cast of red box in (A), with arrows showing six evenly spaced feather quill knobs. (C) View of right ulna of a turkey vulture (Cathartes). (D) Same view of Cathartes as in (C) but with soft tissue dissected to reveal placement of the secondary feathers relative to the quill knobs. (E) Detail of Cathartes, with one quill completely removed to reveal quill knob. (F) Same view as in (E) but with quill moved to the left to show placement of quill, knob, and follicular ligament. Follicular ligament indicated with arrow. The fossil specimen that the group examined was a velociraptor forearm unearthed in Mongolia in 1998. They found on it clear indications of quill knobs—places where the quills of secondary feathers, the flight or wing feathers of modern birds, were anchored to the bone with ligaments. Quill knobs are also found in many living bird species and are most evident in birds that are strong flyers. Those that primarily soar or that have lost the ability to fly entirely, however, were shown in the study to typically lack signs of quill knobs. I suspect that that settles that. Feduccia will grasp at some straw or another now I am sure. Climate Change Far Worse Than Worst Projections? Tim Flannery, named the 2007 Australian of the Year for his work in alerting the public to the dangers of global warming, said the issue was the greatest challenge facing humanity in the 21st century. Flannery said predictions in a 2001 UN report, warning the atmosphere was likely to warm by 1.4 to 5.8 degrees Celsius (2.5-10.4 Fahrenheit) from 1990 to 2100 now appeared conservative. "In the six years since then, we've collected enough data to (check) whether those projections are valid or not," he said. "It turns out they're not valid, but in the most horrible way -- because for the key performance indicators about climate, change is occurring far in advance of the worst-case scenario," he said. "Carbon dioxide's increasing more rapidly, sea levels are rising more rapidly (and) the Arctic ice cap is melting away more quickly than were projected in 2001." hm. Yes, I agree. Yet, let's be careful here too. I'm on the more catastrophic end as far as which projections I lean towards. However, it is going to be worse than the IPCC has said. The find sheds light on the life of the beaked dinosaur Psittacosaurus and on the origins of social behavior in its descendents, including the horned Triceratops, said Paul Barrett, a paleontologist at Britain's Natural History Museum, who led the study. "We don't know very much about the early behavior of dinosaurs in general," he said in a telephone interview. "This discovery shows the early relatives were already social and living in groups." The international team, which published its findings in this month's Paleontology journal, found the remains in the Yixian Formation, an area in northeast China rich in fossils of primitive mammals, birds and feathered dinosaurs. Psittacosaurus was a small herbivore that lived in China, Mongolia, Siberia and Thailand about 130 million to 100 million years ago. It was an early relative of Triceratops and Protoceratops. The largest of the young dinosaurs, probably aged one-and-a-half to three-years old when they died, measured about 50 centimeters (1.6 feet) from the tip of the nose to its tail and weighed about a kilogram (2 lbs). Adults were about 2 meters long and weighed up to 30 kilograms. The age range of the fossils suggested they came from different eggs, laid by different parents, he said. The remains formed a nursery with babies from at least two different parents, he added. The baby dinosaurs were probably killed in a volcanic mudflow, but the way the researchers discovered them, lying side by side, indicates they lived in a herd, Barrett said. "These animals had left the nest and were already hanging out with each other," he said. This adds more fuel to the fire. Zach had an interesting post about the behavior of theropods. A while ago i had this. Then there was that one paper about the paleobiology of the chasmosaurs which is fascinating in Horns and Beaks. I get the feeling from all of this is that the dinosaurs were complex critters with their own social behaviors that might not have anaologs in our modern ecologies. Cutting and pasting mammalian or avian behavior is probably very inappropriate. IDK how much we will figure this out, but we will eventually realize the critters of times past are rather not here today. More Evidence for a Massive PETM Methane Release? Methane released from wetlands turned the Earth into a hothouse 55 million years ago, according to research released Wednesday that could shed light on a worrying aspect of today's climate-change crisis. Earth's surface warmed by at least five degrees Celsius (nine degrees Fahrenheit) in just a few hundred or a few thousand years. 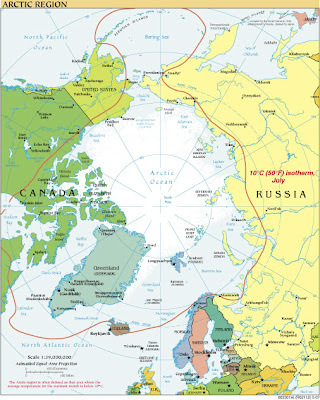 The Arctic Ocean was at 23 degrees Celsius (73 degrees Fahrenheit) -- about the same as a tepid bath -- before the planet eventually cooled. Richard Pancost, a researcher at Britain's University of Bristol, seized an opportunity to dig, literally, into this mystery. Excavation of a site in southeast England to set down the Channel Tunnel rail link exposed layers of sediment from a bog that had existed at the time of the PETM. Pancost's team sifted through the dirt to measure the carbon isotope values of hopanoids, which are compounds made by bacteria. They found that levels of these isotopes suddenly fell at the onset of the PETM, yielding a signature that can only be explained if the bugs dramatically switched to a diet of methane, a powerful, naturally-occurring greenhouse gas. Reporting in the British journal Nature, Pancost believes that the methane had remained locked up in the soil for millions of years before warming released it into the atmosphere. As atmospheric methane levels rose, so too did Earth's temperature as a result of the famous "greenhouse" effect. In turn, that released more methane, and so on. In other words, it was a vicious circle (a "positive feedback" in scientific parlance), in which warming begat warming. The study has relevance because of the gigatonnes of methane locked in the Siberian permafrost today. Interesting. See more on the Eocene Ocean here. It was weird if you use our current ocean as the baseline 'as it should it.' It goes a long way towards something that I encountered when I liveblogged the paleoclimate modsim conference: don't cut and paste modern climate/ocean currents/whatever into the past simulations. It just gives you bad output: crap in, crap out. Ukrainian President Viktor Yushchenko has accused Moscow of hindering the investigation into his poisoning in 2004. What’s more, he hinted that Russia might actually have been behind the poisoning. An indignant Viktor Chernomyrdin, Russian ambassador to Ukraine, said that Russia was not involved and suggested that Ukraine should solve the crime on its own. Somewhat later, however, Ukrainian officials said that Russian investigators had signaled a readiness to cooperate. Chernomyrdin’s [russia's ambassador to ukraine] reaction was very emotional. “Why suddenly such serious accusations?” he wondered. “Why should we investigate it? Settle it on your own. Someone always hinders you,” he told a group of Ukrainian journalists in Kyiv. A high-placed source at the Ukrainian Foreign Ministry told Kommersant Ukraina that Chernomyrdin “should be punished for his arrogance” by the Kremlin or even replaced. Yushchenko’s secretariat accused Chernomyrdin of incompetence. “The Ukrainian president believes that Mr. Chernomyrdin’s statement was his own opinion, not reflecting the official position of the Russian Federation,” the deputy head of the secretariat, Oleksandr Chaly, said on September 12. So what's going on here? Is Yuschenko just frustrated? Or is he doing an indirect dig at Yanukovich's Party's 'relations' with Russia? Or something else happened? It is intriguing though! This is with a 66m sea level rise. I thought I had read that 45m was the max possible, but...something to think about. As France's top diplomat, Foreign Minister Bernard Kouchner can be surprisingly undiplomatic. Having apologized to Iraq's prime minister for saying he should be replaced, Kouchner is now under fire for raising the possibility of war with Iran. His blunt pronouncements are not just the faltering first steps of a minister finding his feet in a complex and scrutinized new job. They also show how France, led by President Nicolas Sarkozy, is inching closer to the U.S., repairing ties badly strained under President Jacques Chirac. Sarkozy's shift is not without critics. Some fear France is surrendering its diplomatic independence and could be sucked into a U.S.-led conflict with Iran. Francois Bayrou, among the candidates that Sarkozy beat to win the presidency in May, said he fears France is aligning itself "with the toughest of the tough in the American administration." U.S.-skeptic French voters cannot say they weren't warned. As a presidential candidate, Sarkozy made no secret of his admiration for the United States and his desire for closer relations. Wow. Will they use Iraq as the abse of operations? I've added Julia at The Ethical Paleontologist and the ole Whiner, codejoy, has moved his blog to Thomas on Rails from Daddy, Coder, Gamer, Photographer. NASA Administrator Michael Griffin says he believes China will return to the moon with human explorers before the U.S. accomplishes that goal with its Constellation Program, as the economic competition fueled by spaceflight activities intensifies. Delivering the first of a planned series of lectures commemorating NASA's 50th anniversary, Griffin told a Washington audience Sept. 17 that there is a lack of public appreciation in the U.S. for the spacefaring skills of Russia, China, and India, as well as of NASA's traditional spaceflight partners in Europe and Japan. "It lacks only the decision to do it for those nations or societies to do exciting and prominent things," Griffin said. 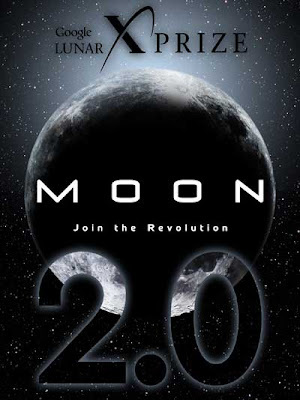 "I personally believe that China will be back on the moon before we are." Elaborating on his remarks via e-mail later, Griffin said he was specifically referring to a human return to the moon by China, without development of a new Saturn V-class launch vehicle like the Ares V planned under NASA's space exploration vision. "If one is willing to make use of multiple Earth-orbit rendezvous, a really big rocket is not required," Griffin wrote. "It's pretty cumbersome, but it can be done." "I think that when that happens Americans will not like it, but they will just have to not like it," Griffin told a questioner following his address. "I think we will see, as we have seen with China's introductory manned spaceflights so far, we will see again that nations look up to nations that appear to be at the top of the technical pyramid, and they want to do deals with those nations." Wow. THat's quite a statement. The pace of Chinese development in space is slow, but truthfully the way we in the US do things at NASA these days is glacial. Depressing that. There's a lot of acrimony wrt this NASA Admin, but I have to say that truthfully it looks as though NASA lost its way. It does far too much that is not its core purposes. Perhaps this admin will be the one to get it back on track, but, I doubt it. The culture is broken and whining about attempts to cut away flab are inane. The Chtorran Invasion Has Begun! Villagers in southern Peru were struck by a mysterious illness after a meteorite made a fiery crash to Earth in their area, regional authorities said Monday. Residents complained of headaches and vomiting brought on by a "strange odor," local health department official Jorge Lopez told Peruvian radio RPP. Seven policemen who went to check on the reports also became ill and had to be given oxygen before being hospitalized, Lopez said. The Boneyard #5 Is Alive! My own Late Triassic Extinction post made it in there too. However, there's LOTS of juiciness in there. Go check it out at the Ethical Paleontologist's site. Oh Goodness! Those C4 Plants! Did the evolution of C4 photosynthesis pathways in grasses helped kick-start modern human evolution as well? Around 2.5 million years ago, global climate entered a marked drying phase that drove a major expansion of east Africa's fire-adapted savannah woodlands, forcing the region's ancient rainforests into retreat. Canadian botanist Professor Rowan Sage, of the University of Toronto, believes it is no coincidence that Homo habilis, the first card-carrying, tool-making ancestor of modern humans, appears in the fossil record at the same time. Like their Australian and Asian analogues, the mosaic of tall grasses, shrubs and sparse woodlands of the African savannah teems with wildlife and proffers a rich, seasonally predictable smorgasbord of food plants. NASA is descoping the $1.7 billion Mars Science Laboratory (MSL) rover, cutting back some instruments, capping others and changing some design elements to cover a $75 million overrun. 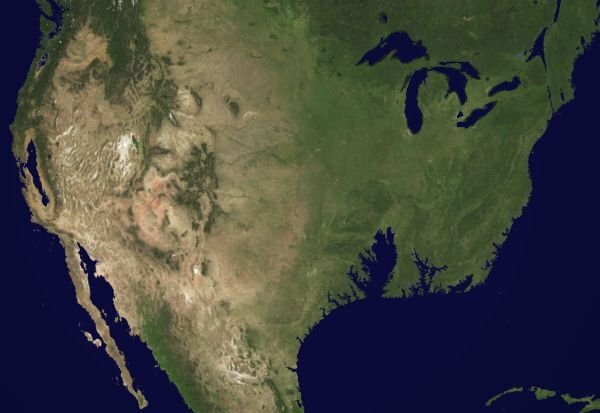 The agency's Science Mission Directorate (SMD) drew on input from the MSL project office at the Jet Propulsion Laboratory (JPL) and the scientific community to order a series of "low-impact mission scope reductions" that, when combined with extra funds from NASA's Mars program reserves, should cover the shortfall. The problem was discovered during critical design review in June. Seems quite a pity that they're cutting this instead of getting a little more money for the MSL. Some of those instruments - like the rock grinder - would be invaluable especially over the long term. It's also too bad that they probably cannot afford - or want - to produce three or four of the MSLs to drop in different parts of Mars. 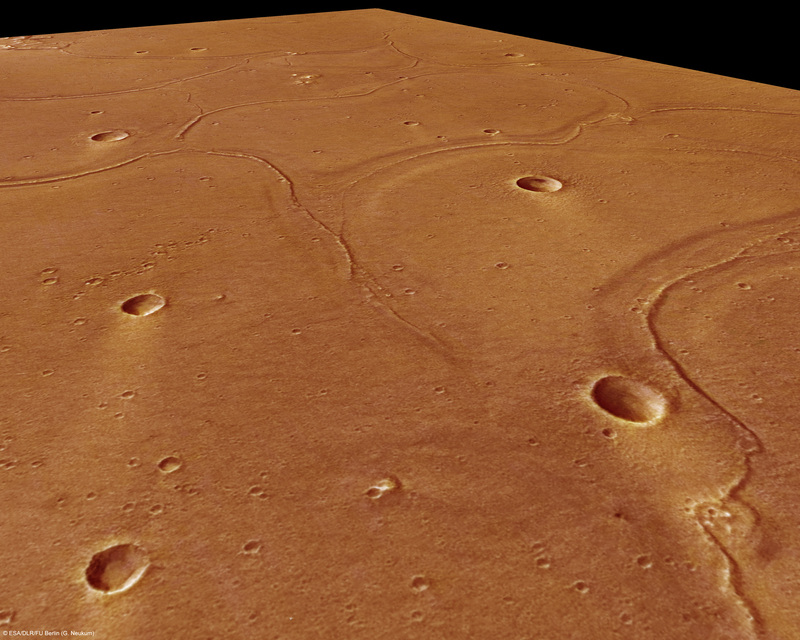 Even if the MSL lasts fifty years, it will cover a mere paltry part of the Martian landscape. I am a little disappointed that Google didn't try to sponsor an inexpensive rocket or something instead. That seems that it would have some better returns than a lunar rover. After a orbital capability, then do a transfer to lunar orbit or a solar sail contest or something else...then do something like the lunar prize. ah well. Chemicals Making Boys into Girls? The scientists, who say the findings could explain the recent excess of girl babies across much of the northern hemisphere, are widening their investigation across the most acutely affected communities in Russia, Greenland and Canada to try to discover the size of the imbalance in Inuit communities of the far north. boggle. That's some strong stuff to make that change like that. There has been a flash of papers and news stories about fossils in the Permian Period. Rather than do a microflood of individualized posts, I'm going to just aggregate them to save time and space with a single post. Those of you that follow this blog on a regular basis know that I've got a huge soft spot for all things paleo and especially the Permian Period. First up is Muller and Tsuji's PLoS Paper entitled "Impedance-Matching Hearing in Paleozoic Reptiles: Evidence of Advanced Sensory Perception at an Early Stage of Amniote Evolution:"
The ability of modern animals to hear a wide range of frequencies, highly important for prey capture, escape, and communication, was long assumed to have only evolved shortly before the origin of dinosaurs, not much longer than 200 million years ago, and therefore comparatively late in vertebrate history. But these fossils demonstrate that this advanced ear was in existence much earlier than previously suggested. In these small reptiles the outside of the cheek was covered with a large eardrum, and a bone comparable to our own hearing ossicles connected this structure with the inner ear and the brain. Müller and Tsuji also examined the functional performance of this unique and unexpected auditory arrangement, and discovered that these little reptiles were able to hear at least as well as a modern lizard. A South African fossil suggests pelycosaurs - intermediates between reptiles and mammals that lived in the Permian Period before the rise of dinosaurs - may have been caring parents 260 million years ago, scientists said on Wednesday. 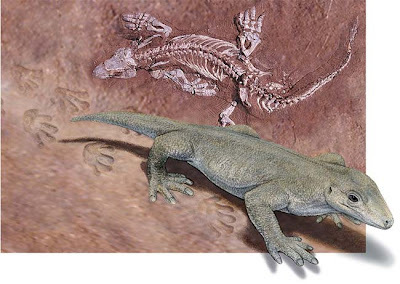 Jennifer Botha-Brink of South Africa's National Museum and colleagues found a fossilized group consisting of an adult pelycosaur and four juveniles arranged in a family group. The youngsters appear to be siblings. From the less scientific Yahoo News. Two reptile-like animals living 290 million years ago are the oldest creatures to have their footprints positively identified after a fortuitous discovery allowed scientists to match fossils to preserved trackways. 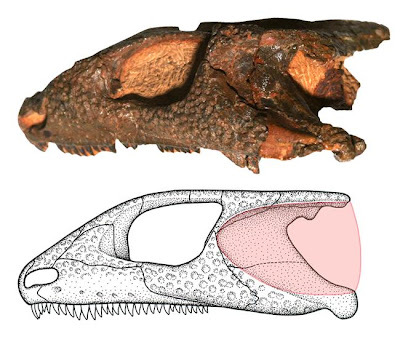 Fossils of Diadectes absitus and Orobates pabsti were recently found in the Tambach Formation in central Germany. Nearby and in the same sediment layer, scientists found well-preserved footprints made by creatures that plodded through the region's soft sediments long ago. The footprints turned out to be a match for the fossil animals. The work, detailed in the latest issue of the Journal of Vertebrate Paleontology, marks the first footprints of the Paleozoic Era, a time before the dinosaurs that lasted from 540 to 240 million years ago, to be associated with the animals that made them. It could also force scientists to rethink how the ancient creatures moved. Because of the exceptional preservation of the Tambach skeletons, scientists were able to match them to the nearby footprints. The two species were among the first four-legged plant eaters on land and have no close living relatives. Sun Microsystens announced a definitive agreement pursuant to which Sun will acquire the majority of Cluster File Systems, Inc.'s intellectual property and business assets, including the Lustre File System. By acquiring Cluster File Systems, Inc., the leading parallel file system provider, Sun intends to add support for Solaris Operating System (Solaris OS) on Lustre and plans to continue enhancing Lustre on Linux and Solaris OS across multi vendor hardware platforms. As previously announced in July 2007, Sun also plans to deliver Lustre servers on top of Sun's industry-leading open source Solaris ZFS solution, which is one of the fastest growing storage virtualization technology in the marketplace. Wow. That's not exactly some news that I can say I am comfortable with. While I have not been a fan of CFS' rate of development or, in general their file system, they have been at least a competitor with IBM's GPFS. There are a few others that are competitive here, but not many. CFS and IBM are the big dogs, so to speak. Since my work is in center wide - and sometimes wide area - file systems, I definitely have some keen interest to see how this plays out. Have a Baby, Get a Car?! Don't be surprised if the streets are empty and curtains drawn in this central Russian region Wednesday as residents take up an offer by the regional governor to help stem Russia's demographic crisis. Ulyanovsk Gov. Sergei Morozov has decreed Sept. 12 a Day of Conception and is giving couples time off from work to procreate. Couples who give birth nine months later on Russia's national day -- June 12 -- will receive money, cars, refrigerators and other prizes. It's the third year that the Volga River region, about 550 miles east of Moscow, has held the contest. Since then, the number of competitors -- and the number of babies born -- has been on the rise. "If there's a good, healthy atmosphere at home within the family, if the husband and wife both love each other and their child, they will be in good spirits and that will extend to the workplace. So there will be a healthy atmosphere throughout the country," he told AP Television News. "The leadership (of the country) is interested in the family." John Shalf, the coworker that I mentioned before with the manycore presentation that I wanted to put up but couldn't find a good place to host at, has the paper that the slides covered. The link is the title. Warning, it's a PDF. Anyone who wants the PPT slides can have them if they post here or email me. The Next One is Coming. I think I am going to round out the Big Five Mass Extinctions a little faster than I originally anticipated. I am going to see if I can get the KT Extinction up for the Boneyard V. There's actually more to write than merely that it happened. There's some controversy, but not what people think it is. Normally, I'd take a lot of time before writing about this: it took me 9 months from the PTE to the LTE. However, this one has a lot of info I've already read about unlike the other mass extinctions. Anyone have a reliable source? ...On the spending multiplier in Mexico? I need it for something that I am writing. Prions and retroviruses -- an unholy alliance? In the Institute of Molecular Virology of the GSF – National Research Center for Environment and Health in Neuherberg/Munich (Helmholtz Association of German Research Centres) the group is continuing to search for cellular components whose make-up is changed as a result of a prion infection. In collaboration with colleagues from the Technical University of Munich and the University of Heidelberg, the group used micro-array technologies – micro-arrays are chips with thousands or tens of thousands of DNA or protein probes - and could demonstrate that the expression of endogenous retroviruses is influenced by infectious prion proteins in tests with mouse cells. Prions – an abbreviation for proteinaceous infectious particles – work as a trigger to a set of diseases of the brain and nervous system, the so-called spongiform encephalopathies. These include BSE in cattle, scrapie in sheep and Creutzfeldt Jakob’s Disease in humans. Prions are structural variants of a normal protein found in healthy tissues – especially in the brain. The devastating effect of infectious prions is that, once they have entered the organism, they can modify the normal "healthy" prion proteins to create more infectious prions, and thus cause the illness to progress. However, as yet, little is known about the molecular mechanisms of pathogenesis, the role of co-factors and the interaction of prion proteins with cellular components. Retroviruses insert their genetic information into the genome of host cells. In the case of endogenous retroviruses, this involves retroviral infections from long ago, which were transmitted through many generations by means of the germ line. Nearly ten percent of the genome of mice and humans consists of endogenous retroviral sequences that have accumulated during the course of evolution. Indeed, most structural genes of endogenous retroviruses are inactive, but many regulatory elements, such as binding sites for transcription factors, often remain active and can influence neighbouring cellular genes. The GSF scientists infected mouse neural cells kept in culture with infectious prion proteins and subsequently analysed the expression patterns of endogenous retroviruses. The results showed that the expression of a set of endogenous retroviral sequences is influenced by the prion infection: in comparison with uninfected cells, the expression partly increased but also partly decreased – depending on the cell line and the type of endogenous retroviruses. These effects could be suppressed by pentosan-polysulphate, an anti-prion drug, which means that the influence of the expression can be attributed to the prions and not to some secondary effects. These observations suggest that prion proteins may stimulate the production of retroviral particles by activation of endogenous retroviruses. Subsequently, these retrovirus-like particles could transport prion proteins from cell to cell, and thus spread the infection. bleh. prions and retroviruses working to together. ick. Finally A Supercapacitor? Or More Magic Blue Smoke? Millions of inventions pass quietly through the U.S. patent office each year. Patent No. 7,033,406 did, too, until energy insiders spotted six words in the filing that sounded like a death knell for the internal combustion engine. An Austin-based startup called EEStor promised "technologies for replacement of electrochemical batteries," meaning a motorist could plug in a car for five minutes and drive 500 miles roundtrip between Dallas and Houston without gasoline. By contrast, some plug-in hybrids on the horizon would require motorists to charge their cars in a wall outlet overnight and promise only 50 miles of gasoline-free commute. And the popular hybrids on the road today still depend heavily on fossil fuels. First, wipe the hype off your screen. Note, they haven't actually delivered a working product yet. They're supposed to be saying 'later this year.' hm. If it's true, it could be quite a little shake up. If it's not...well, no surprise. Here's the wikipedia entry on the company. It has a link to a pdf with the patent. Global Warming is Inevitable Part 3? Sweden’s aerospace and defense powerhouse Saab has launched a new strategic business-development thrust that is aimed at the Arctic waters north of Norway. At the same time, the Norwegian and Swedish military have announced an initiative to strengthen their bilateral defense procurement and logistics cooperation. 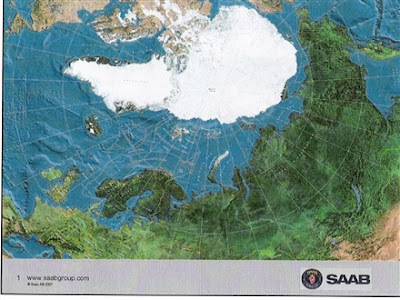 “The receding ice pack of the North Pole will open up, sometime in the next few decades, an all-year ice-free passage along the northern coasts of Russia, connecting Europe with China, Japan, Korea and Taiwan,” says Saab CEO Ake Svensson. Well, I suppose that's one way of pointing out that the world's going to change and that there's nada that can be done. Companies are already PLANNING for it. hm. I wonder what this will do to Panama and Egypt's economies. They get tolls for their canal use, da? ...there will be a new insurance company in my near future. I still owe a few posts on the Permian Mass Extinction, I know I especially want to get done the one on the Late Permian Ecology and the other on the WI the Extinction didn't happen, but I thought I'd move on a bit to the Triassic so I could try to get a post up for the second Boneyard paleo blog carnival. I was lucky enough that I had a post selected for the first one, but I didn't submit anything intentionally. This time around, I am going to do just that. For those of you that have either known me for some time, especially online, know I have a fascination with Deep Time: dinosaurs, synapsids, paleoclimate, the first tetrapods, paleoecology, etc. One topic that keeps looming over anyone that reads about Deep Time is that of the great mass extinctions. You can't escape it: no matter how hard you try. After all where are the dinosaurs? Where are the frighteningly massive dragonflies, spiders, and other invertebrates of the Carboniferous? Where are the terror birds? Where are mammoths?! Sometimes its a Grindstone. Sometimes its a Piano. In some cases, animals and plants of the past were merely the victims of normal extinctions: species come and go but remains the same either way. Normally, there's as many or more species evolving into existence each year at the same time: this is the so-called origination rate. It is an interesting fact that not many people realize that species are coming and going without human intervention. It's a great illustration of the passage of "This too shall pass." in the natural world. Extinction rates can go up past the origination rates during times environmental stress. Likewise, during moments of opportunity, such as when a new island emerges from the ocean, origination rates can exceed the extinction rates. These are often when ecologies become simpler or more complex over a prolonged time. However, mass extinctions are a beast apart from these slower, grinding changes to the ecosystems. People often like to throw around the term "mass extinction" and often use it incorrectly. Let's start with what a mass extinction is not. If all of the members of a single species gets wiped out - like say all the members of the species of the Ivory-billed Woodpecker or Grizzly Bear, then this is not a mass extinction. If all the members of a single genus die out, while no others effected, then this is not a mass extinction. Mass extinctions are for all the critters simultaneously, plants, animals, fungi, algae, etc. For the formal definition to be in play, then I'll hold that at least 20% of all known genera, not species, have to get wiped out. There have been something on the order of 20 mass extinctions. However, five of them from the Deep Time have stood out. These are the so-called Big Five. 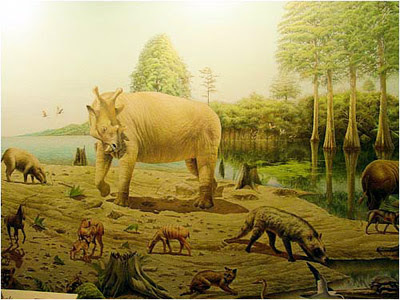 The two most famous of the Big Five Mass Extinctions are the Cretaceous-Tertiary Extinction - the great wipe out of the dinosaurs - and the Permian-Triassic Extinction - the Great Dying. During these events, sixty and 70 to 90 percent of everything died respectively. Everybody's heard and wondered about the dinosaurs dying out. Recently, there has been a great deal of publicity about the Permian Extinction because of its massive trauma that it did to the biosphere. However, there are three more extinctions that compromise the Big Five. However, the other three mass extinctions are the Ordovician, Late Devonian, and, the topic of this post, the Late Triassic (LTE). The world is changed. I feel it in the water. I feel it in the earth. I smell it in the air. The Late Triassic is one of the lesser understood extinction events. There is a fair amount of work that is underway and is just starting to bare fruit. Ten years from now, we'll probably be calling the LTE an written book, not yet closed, but largely understood. Right now, however, there's a nontrivial issue with what exactly happened. Or if it was a major mass extinction at all! Before we get into the extinction itself, we ought to look at the period that it ended. The apocalyptic vision of the Permian End Times opened the Triassic. The world was a hot, dry, dead place. One that lacked ice caps what-so-ever. Deserts ruled. However, to paint the whole of the world with the same brush would be a terrible mistake as Nick Fraser points out in his work. There might have even been megamonsoons that make anything we've experienced in our day and age rather trivial in comparison. There are also indications that the atmospheric content was rather different than our own: the oxygen level would seem very, very low compared to ours and the world would look rather strange to us if we were so lucky as to glimpse it. The biotic consequences of the PT Extinction were staggering. The mammal-like reptiles (if we should call them that; truly better called the therapsids) were well on their way to a complex, nigh on modern ecology on land, albeit sans flying critters. That was ended with the great roasting. The biotic crash from the PT Extinction took millions of years to recover from and did not reach the same levels of complexity into well into the Jurassic. The door was opened for the archosaurs to walk through, something that may not have happened otherwise. The ever noted Dr. Peter Ward has started a project on the Late Triassic Extinction. Others have as well, but Dr Ward is one of the best self-publicists and as a consequence popular science writers out there. He asserted in Out of Thin Air that the Triassic was as important to terrestrial vertebrate life as the Cambrian was to life in general. There was a fair amount of experimentation going on, evolutionary speaking. Mammals arose from the therapsids then. The archosaurs were the true innovators though. True crocodiles may have underwent their interesting and strange metabolic regression. The dinosaurs evolved. When the extinction ended though, so goes the mainstream theories, the dinosaurs stood tall and the mammals were successfully scurrying between the bushes, but the rest were knee-capped at best. In the end, the party, the revolution was over. The dinosaurs ruled the world. The specifics of the massacre are interesting. In the seas of 200 million years ago there were a lot of groups getting wiped out. The formerly very helpful conodonts were completely wiped out: for paleontologists these creatures had been very, very useful for biostratigraphy. They had been very common world wide and their turnover was pretty globally consistent. The idea that the ocean might be filled with large actively swimming things other than fish seems a trifle strange to us now, but up until the End Triassic there was definitely the case. Imagine the ocean teeming with 8 inch long eel like critters that were definitely not fish...very different. The conodonts weren't the only ones that were smacked, but they were one of the more notable extinctions that got all of their species. On the other hand though, the mollusks also were beaten up pretty bad, but did survive as a group. According to Sepkoski, 48% of the marine invertebrates took it in the shorts and it seems that it is plausible that only a single genus of ammonites survived the extinction. The bivalves, clams and their relatives, lose half the genera, but almost all the different families make it through the extinction event with at least one surviving genus. Supposedly, the gastropods actually fair worse here in the Late Triassic than in the Permian Extinction! Other invertebrates also get their family trees pruned badly. The sponges and scleractinian corals really were abused badly. 78% of the scleractinians were wiped out. The reefs in general were pretty impoverished by the event. Most all of the Paleozoic survivors - those that survived the Permian Extinction - among the brachiopods also die out here. On the whole, though, supposedly the ocean bottom dwellers were hit the hardest much like in the Permian Extinction, but unlike the KT Extinction where the animals and plankton that are dependent on sunlight are. In the terrestrial environment, things are rather disputed. In North America there seems to have been a very large turnover of fauna and flora. Yet in Europe, there seems to have been less. Elsewhere in the world is not very well understood. Hallam still holds that there might not have been a terrestrial mass extinction the traditional sense. He holds that there was a regional extinction in North America, but that the case for a mass extinction has not been made. To make matters 'worse' Benton has found that the Carnian fauna in Britain continued into the succeeding stages (re Fraser). Another criticism is that the flora, outside of North America, doesn't seem to have changed all that much. NorAm's plants went through some extinctions, but it seems to have been largely regional in scope. However, seed baring flora seems to survive mass extinctions much better than most animals do though. The conventional view, on the other hand, is that there definitely was a terrestrial aspect to the mass extinction that happened at the end of the Triassic. The proposed victims were the the majority of the Crurotarsi, the majority of the surviving advanced therapsids, a large number of the other archosaurs such as the phytosaurs, Temnospondyl amphibians and, it seems based on recent evidence out of New Mexico, the dinosauromorphs. The question remains though: what caused that to happen? Right now there seems to be three different leading theories. They are divided into the usual suspects, truth be told, such that it seems that sometimes paleontologists are a little unoriginal. However, in reality it is simply that the world has a limited set of possibilities for these things to have been played out. The first one is the theory that gets a lot of press. It's dramatic with a blink tag. It is, of course, the bollide impact theory. The second one is that volcanoes did the deed like they did in the Permian. The last is that there was a near extended ecosystems and environmental failure that I had best explain in detail. The first theory is one that has been presented as one of the contenders for The Grand Unified Mass Extinction Theory. This is a tendency that the two big groups with their two pet theories to try to shoe horn all the extinctions into their theory. Personally, I find this annoying. However, here I think they have a better case for universality than most. The theory itself is that the inner workings of the Earth are more dangerous to life's great web than anything else. When those inner workings relieve themselves strongly upon the surface in a big way, things die. A lot of things die. The idea is that major volcanoes are the main reason for the mass extinctions. There is a nontrivial amount of evidence in favour for this theory. Vincent Courtillot has compiled a large database to compare when there is a major extinction and when there was major volcanic activity. He was even able to get Walter Alvarez to note that there was an interesting correlation. However, there are a few constraints on the theory. The first is that not just any sort of volcanic activity can cause a mass extinction. It seems that only those that are sustained flood basalts will cause mass extinctions. The ones like what Toba, Pinatoba, and others likewise are not seemingly the causes of mass extinctions, but definitely are for local extinction. The suspicion is that the Toba et al extinctions have too short of a period of influence to affect a mass extinction. The Year Without a Summer didn't wipe out most animals at all. On the other hand, it’s been pretty definitely tied that the Siberian Traps were the cause the Permian Extinction. This was a massive flood basalt eruption that lasted for millions of years. Sustainable negative impact on the ecosystem seems to be key wrt volcanoes and their possibility for causing a mass extinction. There's a big hit here against it: the Deccan Traps did not cause the KT Boundary Extinctions. In fact, keeping in mind that India was an island during the end of the Cretaceous, Indian paleontologists have found dinosaur fossils between the layers of basalt flows meaning that the Deccan Traps didn't even wipe out the dinosaurs on the Indian Subcontinent. Please keep in mind that it was an island continent at that point and pretty remote from the other continents as far as megafauna would be concerned. hrm. Even so, traditionally, the Late Triassic Extinction has been attributed to the vulcanism that helped split the great supercontinent of Pangaea. The strongest evidence of this is the massive flood basalts that make up the CAMP (Central Atlantic Magnetic Province) and helped produce the Newark supergroup. The duration was long enough. The vulcanism was pretty energetic. It wasn't as strong as the Siberian Traps. The extinction was actually lesser so than the Permian too, so the model seems to be consistent. On the other hand there might be a problem with the geochronology of the eruptions that might make the eruptions and the extinction to be chronologically disjointed: they might not have happened at the same time. There is evidence from the Milankovitch cycles that they happened 60,000 years too late! The second theory that keeps competing for the Grand Unified Mass Extinction Theory is one that has already, like the vulcanist theory, successfully claimed a mass extinction as having been caused by this theories Murder Weapon: bollide impact, off the Yucatan, at the KT boundary, killing dinos+. There has been a lot of push since the Alvarez team published their paper in 1980 about the bollide explanation to find if all the mass extinctions are caused by the impact of asteroids, comets, whatever kind of bollide crashed into the Earth and killed off the huge percentages of life. As noted, the KT Extinction seems to have been an asteroid impact. There is strong evidence for the FF Boundary Extinction during the Late Devonian as being impact caused. There is also some evidence for an impact cause for the Late Triassic Extinction as well. Like the vulcanism theory though, it does have some nontrivial issues, namely with geochronology. There is a very promising crater in Quebec, Canada - the Manicouagan Crater - that is almost the right age. The problem is that it precedes the extinction by around twelve million years. This causes issues with causation: the one confirmed impact caused mass extinction (the KT) was a swift killer, not delayed by millions of years. Now there might be a case where things need to be given a better bit of study, but it seems that this isn't the case for now. Something that hurts the claims for the impact causing the Late Triassic Extinction is that the there are few indications that n impact took place on the order - or even remotely close to - the Chixculub Crater. There is no evidence of the shocked quartz on the scale of the KT Boundary. There are no isotope anomalies such as the KT Boundary's global iridium layer. There are no tektites or spherules. This is rather unsupportive of this theory, but this might be just that there isn't as much work being done on the LTE as the other extinction events. The last theory is rather complicated. The idea is that the ecology simply broke down and the LTE was a cascade of those breakdowns or a general systems failure on the part of the ecology. Let me see if I can articulate this theory, but I am unsure if I will do so very well. The idea is that mass extinctions are a product of a failing ecology. The idea is that ecologies are intimately linked entities. When the certainly parts of it die it, other parts begin to die out. This makes sense in a way: if you kill off the plants that certain animals need, you are going to kill off those animals and that in turn will kill off the predators for those herbivores. etc. If this chain reaction happens to reach above a certain level, the links between ecologies cause localized, single biome centric extinction to progress to larger mass extinction. This theory has been applied to the Late Triassic Extinction. The idea is that the combination of two facts made this possible. 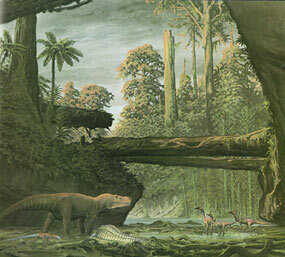 The ecologies of the Triassic were simplified by the harrowings of the Permian and the Carnian. Furthermore, during the Triassic, the continents were all congealed into one great supercontinent. This would, in theory, make the number of species less as there were actually less isolated environments. Less diversity means that there are less critters that are variant enough to try to survive a mass extinction. So, the idea is that when the big reduction in force took place at the Late Triassic, the interconnectedness of the largely similar ecologies broke down and did so such that more dependent species died out and would continue to die out for an extended period. It was a systems failure of a supercontinent wide magnitude. The biggest problem is with this last theory is that the last stage of the Triassic, the Rhaetian, is only four million years old. This would argue the mass extinction was a very short term affair. This would favor something that was relatively quick and the ecological unhinging theory is anything but a quick kill mechanism. Secondly, the nasty aspect is that humanity in what has been termed the 6th mass extinction, has already done this whole sale all over the earth, yet we don’t see things dying off left and right from the mere absence of numerous links in the chain. This brings about some questions as to whether or not this theory is even applicable at all to any mass extinction, nevermind the LTE. Considering then, the bollide impact and vulcanism are the leading candidates. If we were to leave it there, without the newest research of the past two years, we would find that the Late Triassic Mass Extinction was an enigma still. Until 2005, no one had found any conclusive evidence of anything strange in the isotope ratios. The carbon ratios seemed to stay consistent across the boundary. The oxygen ratios were nothing to talk about either. There was no iridium signature like the KT Boundary either. No one – even now – seems to have discovered much about the strontium or other worthwhile trackable isotopes as far as having any noticeable changes. It’s rather perplexing. It could be that there are simply not enough sites with sediment left over from the Rhaetian to draw conclusions. In fact, this is an argument that some use to state that there was not a mass extinction at the Late Triassic at all! The total number of sites with Rhaetian sediments is exceedingly few. There are so few of them that, if my sources are not too badly out of date, you can count the number of known, good locales on one hand. That's not too promising to do a statistical analysis with. Additionally, some authors have attacked the locales as examples of interrupted sedimentation which would call into question their usefulness because they would give false impressions about how fast the faunal turnover was between the Late Triassic and Early Jurassic. This is a true danger of having too few samples: it can give very bad and wrong impressions as to what happened. With recent discoveries of the dinosauromorphs surviving through the Carnian, it seems very, very possible that the Late Triassic Mass Extinction may be the extinction that never was. However, because the folks that chase fame if not fortune through exploring and explaining the mass extinctions of the past. Walter Alvarez, Jaan Smit, and others have had their names carved into the annals of science by explaining the KT Extinction. Erwin, Wignall, and others have carved their name into the same annals for the PT Extinction. There are wars still over the Late Devonian Extinctions and all sides have staked a claim on it (vulcanist, impactists, and the rest). This argument is ongoing. The Ordivician, at least for now, seems to have a low key argument going on (most seem to think it was glacially induced, but others are disagreeing). The Late Triassic was the least studied until recently. Those that participated in the other two ‘settled’ extinctions would like to get their name in the lead for their ‘own’ extinction. Ward et al and others have started research into the LTE. In 2005, they published a discovery from their expeditions to the Triassic/Jurassic Boundary in the Queen Charlotte Islands. They discovered there was a carbon signature there that matched a previous ‘settled’ extinction: the Permian. There was also work done with the oxygen isotope ratios that indicate a similar behavior as well. Ward then argued in his work, Under A Green Sky, that if you follow the fossils as well – some of the bivalves and ammonites that are collected throughout the Rhaetian are adapted to warm, very low oxygen waters – you get a picture that the murderer was volcanism, in the brand spanking new North Atlantic with an overload of carbon dioxide, anoxia, hydrogen sulfide producing bacteria coming to near the surface of the seas, a UV blast, a methane hydride release, and global warming on a massive scale, albeit a lesser one than the Permian End Times. In wrap up, it seems that there is a very strong contender for the LTE kill mechanism: volcanism stimulated methane-carbon dioxide cooking with a seasoning of hydrogen sulfide poisoning and ultraviolet burning. However, this ought not be thought as a closed book or even a written book. We have an issue here that this science – in terms of refutation or confirmation – is very, very new. It will take time to confirm – or deny! – this work conclusively. More research is underway. Scientists are still digesting the work and considering the implications. It is worrisome that the carbon and oxygen signatures have taken so long to uncover and from so few sites. There ought to be more just to verify that these are not merely local phenomena that are being sampled. Until this is done, the LTE should be considered an extinction that is as yet unsolved. Ward himself makes the case for caution with his own discussion of the Permian bollide impact that Becker et al reported for the Permian Extinction…and its rather poor science that seems to have been documented therein: wait for the work to be done before deciding that the mystery has been solved. Even so, to be fair, Ward does seem to have a very strong case for this paleontological version of Clue. 1. Hallam, in Catastrophes and Calamities, holds that a mass extinction merely needs to be broadly based enough that it is statistically significant and catastrophic. Others have it be more specific and I'm hold up something of a synthesis of those to make it more specific. 2. Wonderful Life expounded on the history and oddities found exquisitely preserved in the Burgess Shale. Some of the hypotheses that were put forth accreted around the idea that there was a massive experiment by life to see what worked during the Cambrian Explosion and then there was a mass extinction that wiped out a number of the forms that were rather different than today. However, at least a few and possibly many of the critters that were actually tied surviving lineages. The iconic example is Hallucigenia being a Velvet Worm. There have been several paleontologists, including Tony Hallam, that have questioned whether or not there was a mass extinction at the time of transition from the Cambrian to the Ordovician. The general consensus is that there was, but that it seems to have been less impressive than first thought. 3. That would mean the much trumpeted 6th Mass Extinction that is being aided and abated by humanity is really the 7th. So, I promised a post on the Late Triassic Mass Extinction. It's still in the state that I talked of on Thursday. A lot has happened since then. My wife had her wisdom tooth pulled and...we were in a car accident. Right after the tooth pulling. All of us were in the car. No one was hurt, save Lyuda's car. And the other woman's car. I'll post more soon.